Clear 1-Day lenses are produced by ClearLab. These daily contact lenses are made with the patented AQUAGRIP technology for enhanced water content and comfort. 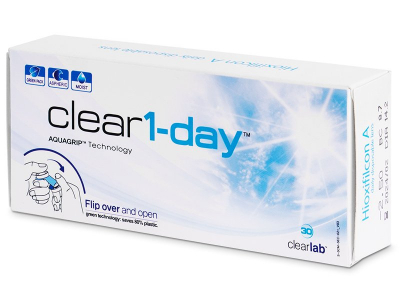 Clear 1-Day are daily disposable lenses by ClearLab. Thanks to their aspherical design, they provide comfort throughout the day and allow for the correction of low levels of astigmatism. They provide clear, sharp vision when eyes are fatigued, whether from computer work, driving at night, or spending time in dry or air-conditioned spaces. Clear 1-Day contact lenses are made from a patented biocompatible material called ClearGMA. Their high water content keeps the eyes hydrated throughout the day and minimises dehydration. 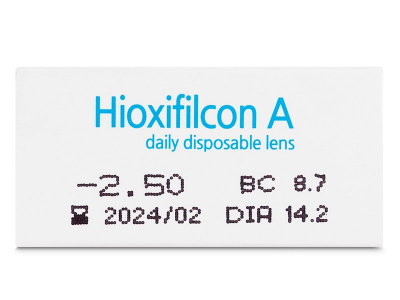 Thanks to the advanced AQUAGRIP Technology, the lenses are able to bind large quantities of water to themselves, thus strengthening their resistance to dehydration and increasing their moisture content. 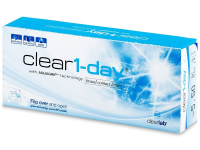 Clear 1-Day are designed for daily use. 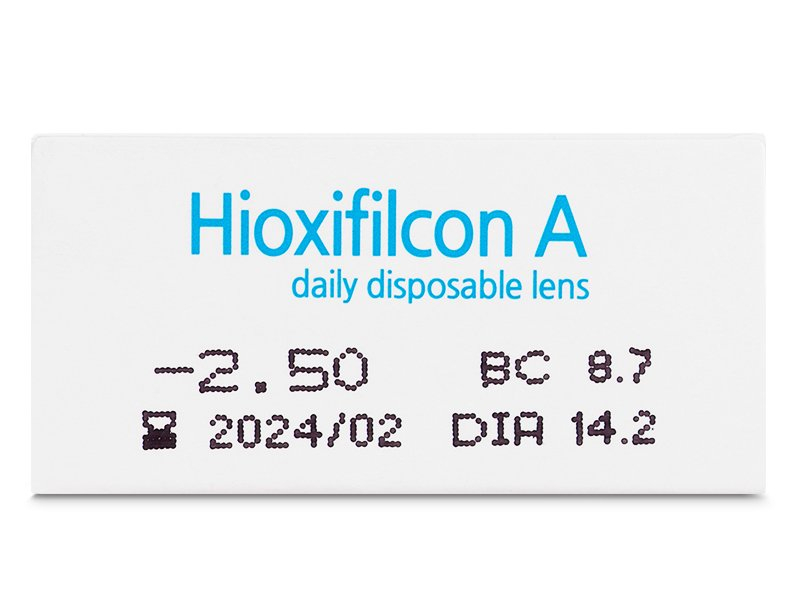 Daily lenses are the healthiest and most hygienic option for contact lens wearers because a new pair of lenses is worn and discarded every day. 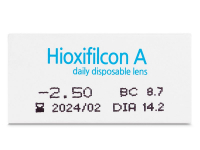 This short period of use significantly reduces deposits on the lens surface which may cause eye irritation.